After both men’s and women’s teams claiming their leagues and the women’s team becoming the Northern CC champions, we managed to witness some fantastic tennis, both singles and doubles from both teams. 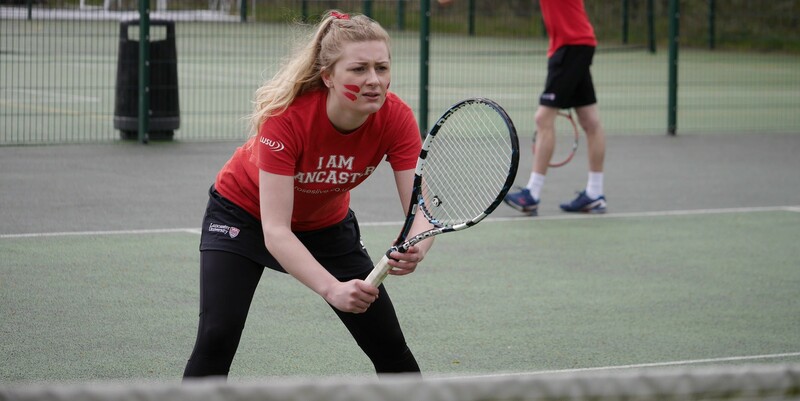 Women’s doubles kicked off really dynamically, with Olivia Marshall and Valerie Sophie, and Daria Papenko and Jo Hotham, from the Lancaster team securing two out of the three wins. Sisters Danielle and Rachel McNally, although losing their double game to York, they showed amazing determination throughout the game, drawing it to a tie-break. Lancaster secured another win from women’s single games, with the girls proving us why the hold the title of Northern champions! The final result was 7-2 to Lancaster. The men’s 1st team showed strength and perseverance in both singles and doubles games. A separate applause needs to be given to Abdulrahman Al Janahi and Lee Cardy for playing extremely well in their singles, and smashing York’s team. However, the team unfortunately lost narrowly to York 5-4, although this was a significant improvement on last year’s 7-2 defeat.